If you’re a rising musician, you’ll probably have opportunities to perform in competitions. This post will help you decide whether a particular contest is right for you. First, by “competitions,” I’m referring to events organized for students, amateurs and young professionals in which the contestants proceed through one or more rounds of screening with the prospect of winning prizes. Such competitions can be local, regional, national, or international. Ordinarily, entry fees are charged, repertoire requirements are specific, and, for many contestants, travel is involved. That is, musicians who compete invest substantial time, effort, and money to do so. To come up with an answer, let’s consider what competing entails while weighing the costs and benefits of participation. Search the Internet, investigate listings on sites such as MusicalAmerica.com, and consult a mentor for leads. If a contest’s compulsory repertoire is comparable to what you’ve performed successfully, then the event may be a good fit. • Do the dates harmonize with your schedule? • Can you master the material without exceeding your practice capacity? • Do the repertoire requirements suit your style? If you’re a musician with long-term aspirations, I recommend that you document your goals. With a plan in focus, mull over how participating in a contest might fit your intentions. For students and amateurs, competing affords them chances to test their skills, discover how they measure up to their peers, and network with fellow musicians. For up-and-coming professionals, succeeding at competitions can additionally provide career-boosting recognition and valuable prizes, not only cash awards but also contest-sponsored appearances and recording contracts. Clearly then, competing has the potential to bring rewards and be highly motivating. But there are countless other avenues to career-building and artistic expression aside from entering competitions. In fact, I’ve observed that aspiring performers often assign undue importance to contests. For instance, some musicians will spend months gearing up for competitions that they’re unlikely to win when they’d get far more artistic and career benefit from using their time and resources to present self-produced concerts in various communities, obtain reviews, record, publish websites, grow their fan bases, plan small community tours, and so forth. Moreover, performers today do well to differentiate themselves and build up distinctive artistic identities. 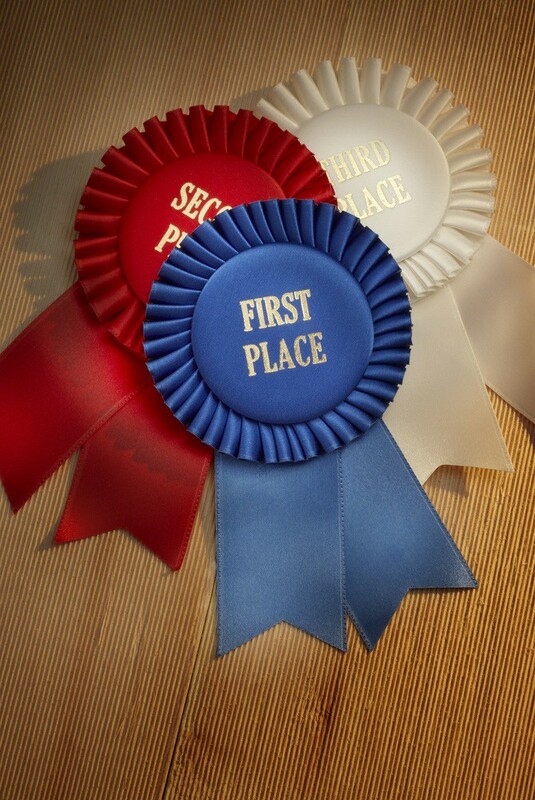 Competitions seldom aid those goals because participants generally present standard material chosen by the contest organizers. In other words, artistic and career development are multifaceted enterprises, and contest participation should constitute no more than a facet of a musician’s strategy. All told, competition prizes can help musicians’ development and careers. But, with the exception of a few elite events such as the Van Cliburn piano competition, contest wins don’t launch careers. There’s no point in your entering a contest if you won’t perform well. What’s more, injury rates among musicians spike ahead of competitions because, before an event, some performers abruptly increase their playing or singing time. If you’re going to enter a contest, begin preparing far in advance: establish a preparation timeline, practice deeply, and set up a healthy practice schedule. Furthermore, if injury symptoms arise during your preparations (say, you notice persistent pain, loss of control, tingling), rest, consult a healthcare professional, and consider suspending your participation. Caring for your wellbeing trumps all other concerns. Lastly, keep things in perspective. At any competition, most musicians won’t win prizes. Although we enter contests with the hope of winning, we can’t control the outcome, we can only control how well we perform. Therefore, head into a competition with an accepting mindset, and then play or sing your heart out. Whatever the results, learn from your experiences and go forward with enthusiasm. 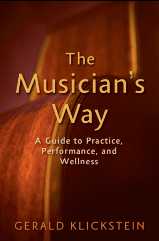 For detailed guidelines to prepare for and excel at competitions, see pages 217-222 of The Musician’s Way. Need additional help to advance your music career? Contact me to discuss possible coaching via Skype. Competitions were very good for me. Without them I didn’t practice! Sad but true! Yes, I did win 1st prize at the ICC International Clarinet competition, but it didn’t launch my career. Thanks, Ted. Competitions helped me too because they were part of a larger career development plan. In fact, the greatest benefits arose as a result of the networking I did at carefully selected contests. E.g., because of the contacts I made at these events, I was able to arrange tours, garner recommendations, and build relationships that led to all sorts of employment and artistic enrichment. Thanks for sharing this post. Your suggestions, points and ideas on the basics of joining in a competition are indeed great. I find those points very useful and would surely consider them whenever I intend to do so or encourage my students and colleagues to participate in a specific contest. Practice is indeed necessary in winning; yet, motivating oneself and setting his or her goals are also very important. Remember that it is neither the prize, the award nor the title that we should look forward to, but the joy, satisfaction and fulfillment we could get and receive from each competition. Thanks again for letting us know your thoughts and experiences on music teaching. Please keep on sharing more creative and useful music teaching resources that we can use in the classroom or music studio. More power and happy holidays! Til your next posts. Cheers! Thanks very much – I wholly agree that music making should be a matter of soulful expression and fulfillment whether we play or sing in the practice room, on stage, or in front of a competition jury.